Hi Maggie! Welcome to my blog, thank you very much for joining me. I’m really excited to talk to you about all things books! So first things first, what’s the best book you’ve read so far this year? I would say mine would be In Bloom by Matthew Crow, a fellow UKYA Author. That book sounds so interesting! Let’s talk about YOUR books now. Your first book, The Last Summer Of Us focuses on the precarious nature of friendship. Why did you choose to focus on this? Do you think strong friendship is missing from YA at the moment? We’re really lucky because so much YA at the moment does recognise how important friendship is. There’s a saying about friends being the family you choose for yourself, and I think that’s true – it’s good to see that reflected in the writing too. 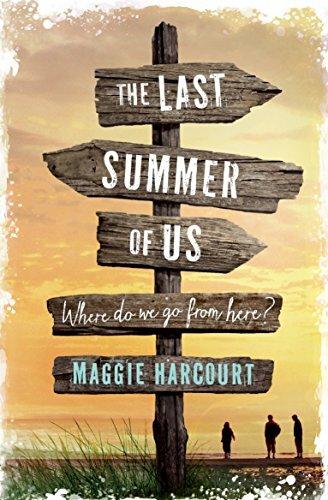 When it came to “The Last Summer of Us”, I wanted to tell a story about a specific friendship between characters who were like the people I knew and the friends I had growing up: I’m Welsh, and when I was sixteen or seventeen, there weren’t many books that portrayed that particular sense of humour or way of interacting with each other. Every group of friends has its own dynamic, but there’s something very special about the way you relate to one another when you’re seventeen and in a small rural town – usually because you’ve known each other your entire lives. It doesn’t always make things easier (the opposite, in fact) but it definitely makes for interesting relationships. 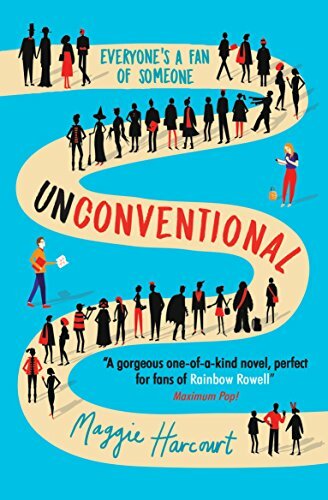 Your second book Unconvetional is all about (surprise surprise), convnetions! Who is your ideal cosplay and do you have any funny/embarrassing/convention stories for us? I’ve been going to conventions since 2010, and I’ve worked on quite a few too – so I’ve got plenty of stories… most of which I can’t tell! A few of them have found their way into “Unconventional” in one form or another, or inspired some of the events Lexi has to deal with in the book, too. Things that do stand out, though, are the special moments: getting to meet Terry Pratchett – briefly – in 2013 was very emotional, and helping to look after Neil Gaiman at one of his convention signings the same year felt pretty huge (especially as he was one of the first authors I ever met, having queued for a signing of his in central London years before!). Most of the best memories are really small moments, silly things that have happened with friends – or they’re the friends I’ve made at conventions. That’s the thing at the heart of a good convention: it’s not so much the panels you see, it’s the people you see them with, whether you’ve met before or not. Your book mentions a few UKYA authors (Non Pratt, Will Hill etc), what do you think makes the UKYA scene so special? It’s full of incredibly talented authors who really care about the books they’re writing and the books they read – and about being part of the UKYA community as a whole, not just as ‘Authors With Books To Sell’. It’s the fact there are bloggers and reviewers and readers and publishers and authors all getting involved to talk about books they love that makes it so special and unique; the shared enthusiasm and passion for these stories and the world that has grown up around them makes UKYA such a wonderful thing to be part of. As a blogger and author I agree the UKYA scene is something special! What do you love most about writing YA? For me, it’s the emotional honesty that it demands. YA means you have to be truthful about the stuff that matters: whether your setting is a contemporary school or a pseudo-medieval fantasy castle or a seventeenth-century city, wherever (and whenever) your characters live, whatever they’re going through, there are still things about who they are and what they want and how they feel that are universal. That’s an amazing challenge for a writer, and when you’ve created a character – or a world – that someone connects with, it’s worth every second of the work that goes into it. That and I love writing YA characters: they can be competent and strong, they can be uncertain and scared, they can be messy or together or sometimes all of these things at the same time… just like real people. I really love the romance in Unconventional, it’s more subtle and internal than you usually see! Do you have any tips for a writer who wants to write the perfect romance? I am so excited for your upcoming release, Theatrical! Do you have a specific connection with theatre? Is that why you chose that key theme? Theatre’s something I’ve loved ever since I can remember: when I was a student, I lived in central London and used to queue for cheap student tickets and day seats to shows in the West End – I’ve still got the ticket stubs from some of them in the attic. It was the annual show we did at school that really got me interested in theatre, though: we used to borrow the Theatr Elli in Llanelli, and stage what was basically a variety show there every year, and the day before, most of the school would go down for a day-long rehearsal. While you were waiting for your rehearsal slot, you were supposed to just sit in the stalls in your class groups, but I used to sneak off and wander around the theatre. I can’t imagine how much trouble I’d have got in if anyone had caught me, but they never did – and it gave me a love for the bits of theatres you don’t see when you’re part of an audience. 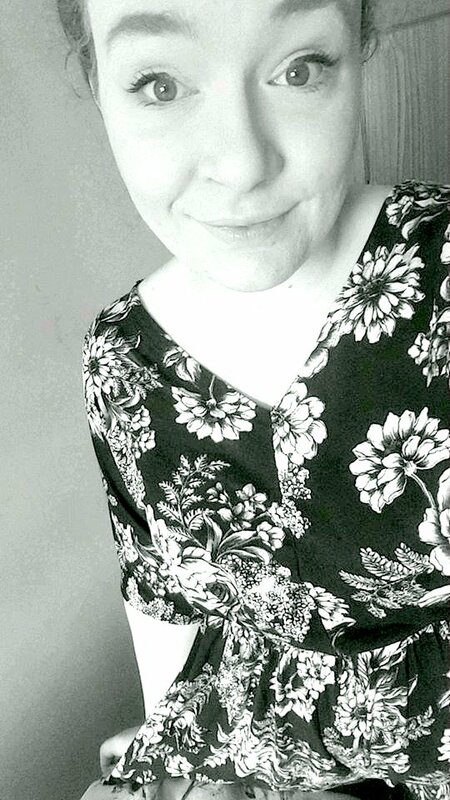 That stuck with me, and a couple of years ago I signed up for a theatre production summer school at the Theatre Royal in Bath, which covered everything from choosing a production to casting it, lighting it, stage managing and budgeting it… and then having to pitch it to the theatre’s management team. It was amazing, and only made me love the whole world of theatre even more. There’s something remarkable about the universe behind the stage door, and the fact so few of us get to see it makes it all the more fascinating. Can you tell us a bit about your Theatrical? As a drama grad, I am SO excited for it and so excited that you love theatre too, especially after falling in love with Unconventional! Honestly, this sounds right up my street! Thank you so much for joining me on my blog, Maggie! It means a lot and I am so so honoured to have you here! I am so so happy to have been a part of the YA Shot Blog Tour!! Make sure you head over to my Twitter for your chance to WIN a copy of The Last Summer Of US AND a copy of Unconventional! For a bonus entry, you can leave a comment here saying who you would cosplay as at a convention! I would be Rapunzel. Previous Post The Bank Holiday Book Tag! Next Post Simply Shakespeare #11 – The Shakespeare Book Tag! Great interview. I’ve been meaning to read Unconventional for ages and Theatrical sounds great! I would cosplay Ariel – any excuse to have bright red hair!